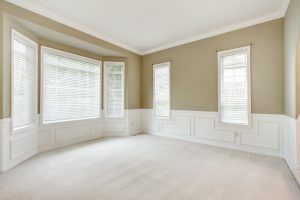 Properties might stand empty for any one of many different reasons. the owners are on long-term business secondment overseas; etc. In all these situations and others like them, such properties share the risks of encountering certain categories of problem. it becoming a very visible target for burglars, remembering that sometimes even basic infrastructure such as radiators and pipework can be the target of theft. Of course, different courses of action may be needed to resolve each of these situations depending upon the ownership status of the property concerned. In some cases, it can even prove difficult for Local Authorities to identify just who the owners are. However, here at Cover4LetProperty, we’d like to bring to your attention one specific issue relating to empty or unoccupied properties – that of the need to make special insurance arrangements. The above list of risks highlights clearly that there is something very different about unoccupied or empty properties when compared to those with owner-occupiers or tenants in residence. The fact is that the property concerned is at a far greater risk of certain categories of problem arising when it is unoccupied than if somebody was living there. Property insurance is essentially about understanding the risks involved in providing cover and then agreeing a premium with the property owner for covering those risks. As the risk profile is so different between occupied and unoccupied properties, different insurance policies are required. In any situation where your property is either empty or unoccupied, to ensure continuity of cover you will need unoccupied property insurance. Most standard property insurance will provide cover for properties that are unoccupied for less than a specified number of consecutive days. That figure is usually somewhere between 30 and 45 days and is typically more than sufficient to cope with property standing unoccupied for reasons such as normal annual holidays, business trips, weekends away or even short to medium level stays in hospital etc. However, once that number of days has passed, your property becomes officially categorised by insurance providers as “unoccupied”. Shortly before that point is reached, you should switch to unoccupied property insurance. Failure to do so could mean that your current insurance will only cover the most basic of risks – or could become completely invalid, meaning your property is not protected. Do please note that the reason your property is sitting unoccupied is typically not a factor in the considerations of the insurance provider covering your normal occupied property. Even if the property is now sitting unoccupied for reasons beyond your control, this insurance consideration will still apply and you will require unoccupied property Insurance. It might also be worth noting that this applies equally to owner-occupied and let properties. It wouldn’t be advisable to take chances in this respect. If you have any doubts or uncertainties about the insurance status of one of your properties, we would welcome your earliest contact for a discussion. Further reading: Guide to Unoccupied Property.